Sethembile Msezane was born in 1991 in KwaZulu Natal, South Africa. She lives and works in Cape Town, South Africa. 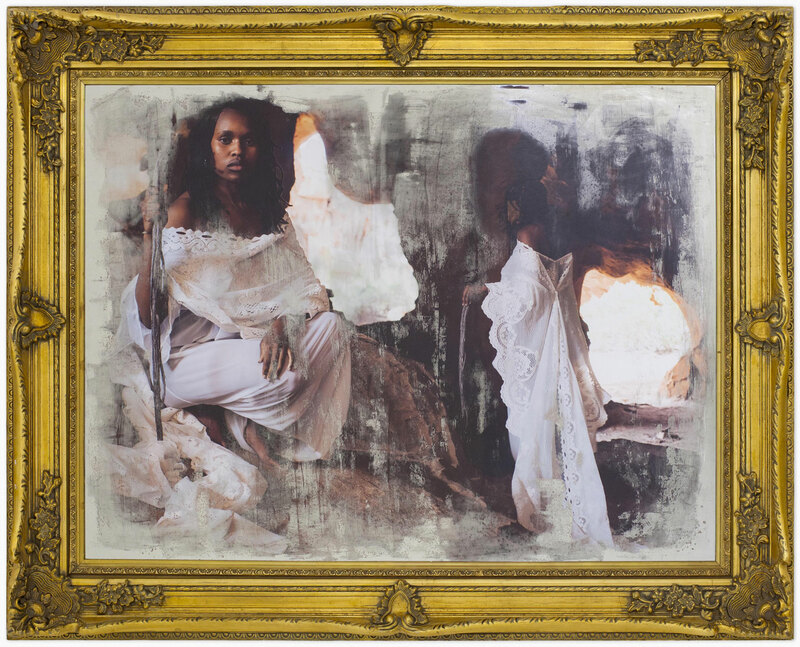 She was awarded a Masters in Fine Arts in 2017 from the Michaelis School of Fine Art, University of Cape Town, where she also completed her Bachelor of Fine Arts in 2012. 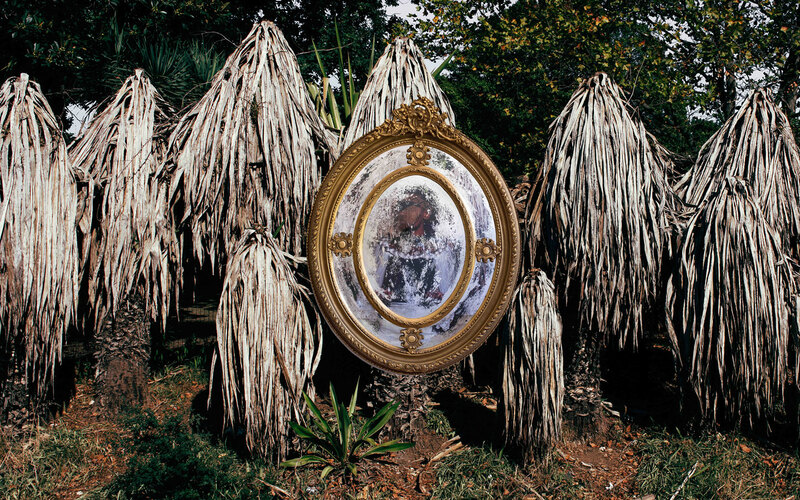 Using interdisciplinary practice encompassing performance, photography, film, sculpture and drawing, Msezane creates commanding works heavy with spiritual and political symbolism. 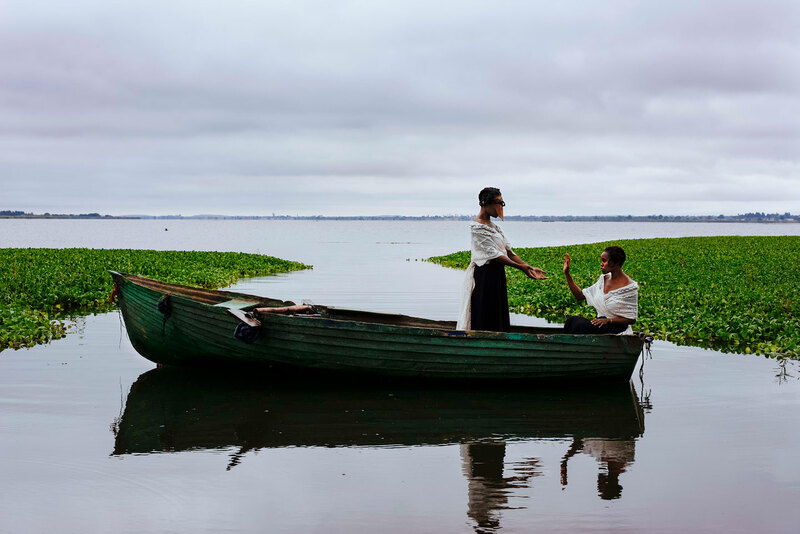 The artist explores issues around spirituality, commemoration and African knowledge systems. 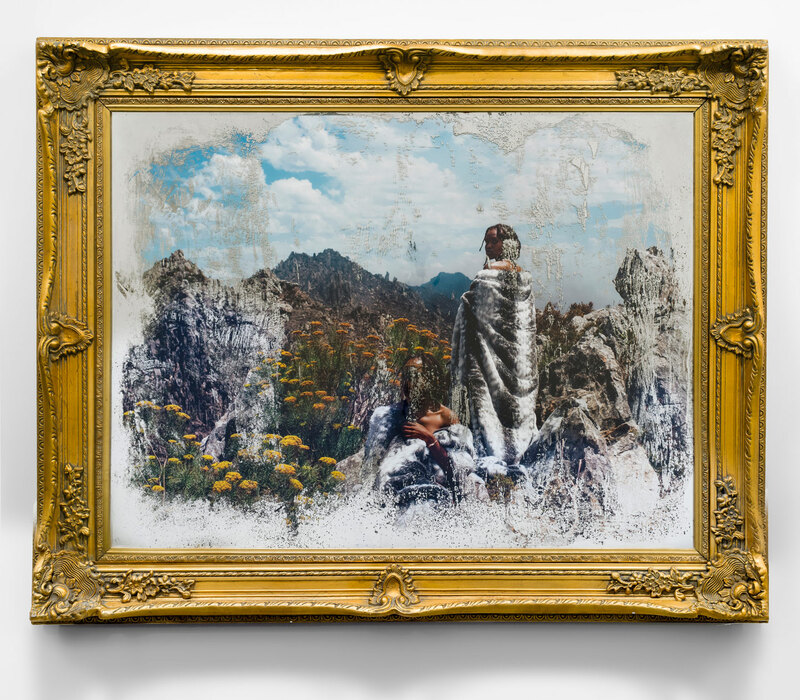 She processes her dreams as a medium through a lens of the plurality of existence across space and time, asking questions about the remembrance of ancestry. 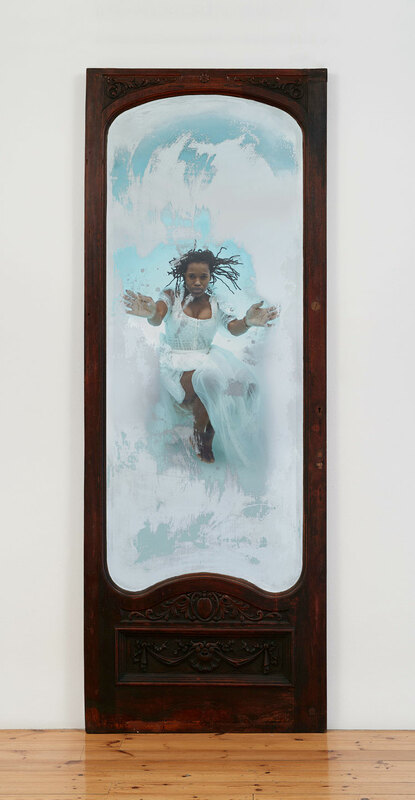 Part of her work has examined the processes of mythmaking which are used to construct history, calling attention to the absence of the black female body in both the narratives and physical spaces of historical commemoration. 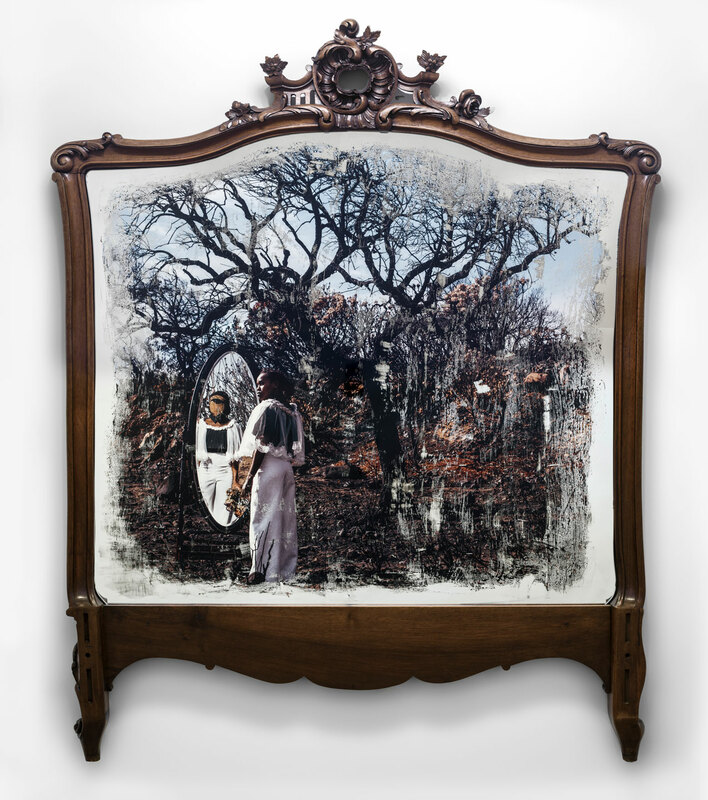 Msezane’s work has been widely exhibited across South Africa and internationally, and forms part of South African museum collections such as Zeitz MOCAA, Cape Town; the Iziko South African National Gallery,Cape Town; and the University of South Africa (UNISA), Johannesburg. 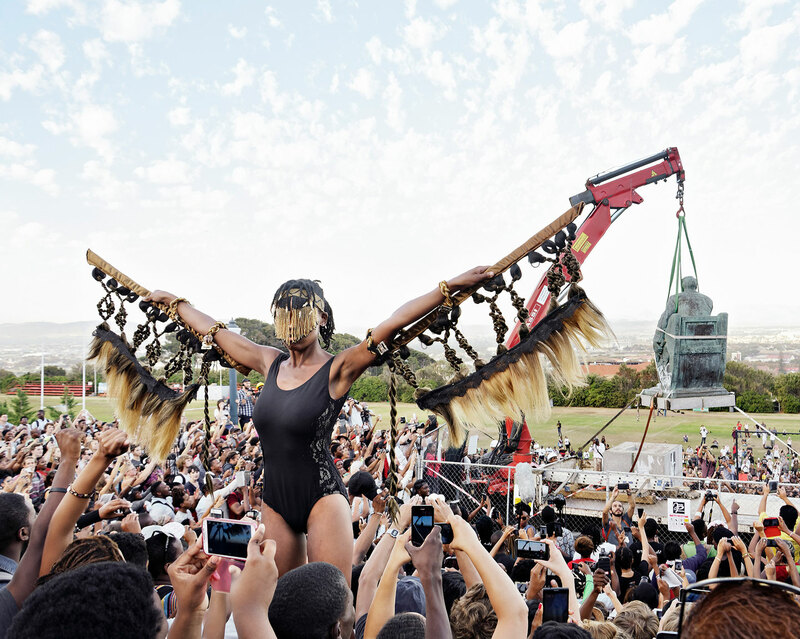 In 2015, during protests by the Rhodes Must Fall Movement, she presented the performance Chapungu – The Day Rhodes Fell at the removal of the Cecil John Rhodes statue at the University of Cape Town. In 2019, the artist mounted her first UK solo exhibition, Speaking Through Walls, at Tyburn Gallery, and well as presenting her newest performance piece, Signal Her Return III, at New Art Exchange in Nottingham, UK. Recent solo presentations include All Things Being Equal…, Zeitz MOCAA, Cape Town, South Africa (2017) and Kwasuka Sukela, Gallery MoMo, Cape Town, South Africa (2017). 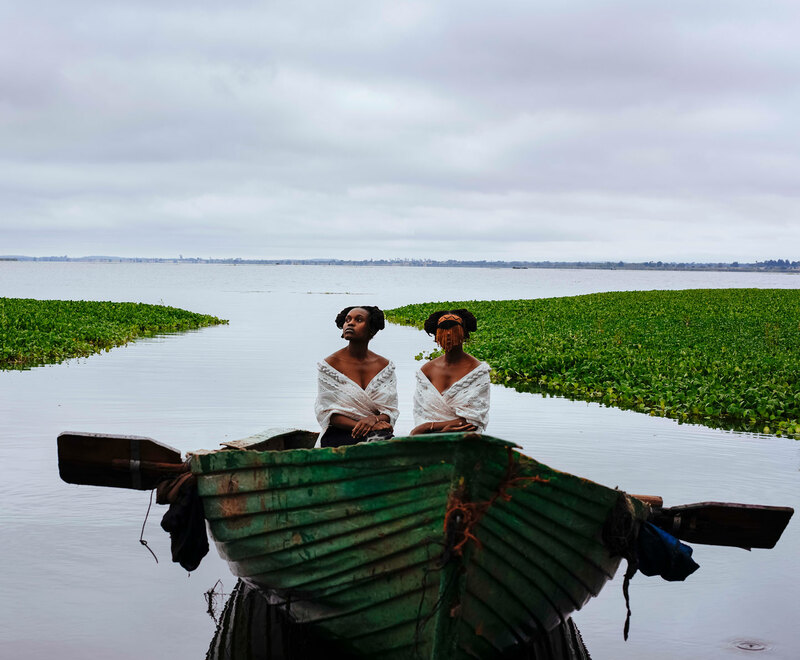 Recent group exhibitions include Made Visible: Contemporary South African Fashion and Identity, Museum of Fine Arts, Boston MA, USA (2019), Dancing on a Volcano, Lagos Photo Festival, Lagos, Nigeria (2018), L’envol, La Maison Rouge, Paris, France (2018), Not a Single Story, NIROX Foundation, South Africa, and Wanås Konst, Sweden (2018), Cape to Tehran, Gallery MoMo, Cape Town, South Africa (2018); The Winter Sculpture Fair, Nirox Foundation Sculpture Park, Johannesburg, South Africa (2017); Re[as]sisting Narratives, Framer Framed, Amsterdam, Netherlands (2016); Women’s Work, Iziko South African National Gallery, Cape Town, South Africa (2016); Dance, if you want to enter my country! / Global Citizen, GoetheOnMain, Johannesburg, South Africa (2016) and iQhiya, The AVA Gallery, Cape Town, South Africa (2016). 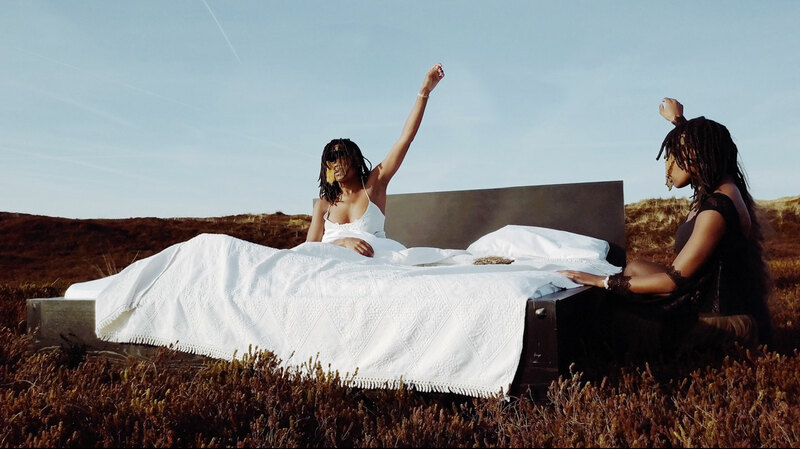 In 2018, she staged a performance for the ICA Arts Live Festival in Cape Town, as well as performing at the National Museum of Denmark in Copenhagen, as part of the conference Changing Global Hierarchies of Value? Museums, artifacts, frames, and flows, organized in association with the University of Copenhagen. She also performed at dOCUMENTA 14 in 2017 in both Athens, Greece, and Kassel, Germany, as part of iQhiya Collective. The same year, she was a speaker at the TED Global conference held in Arusha, Tanzania. 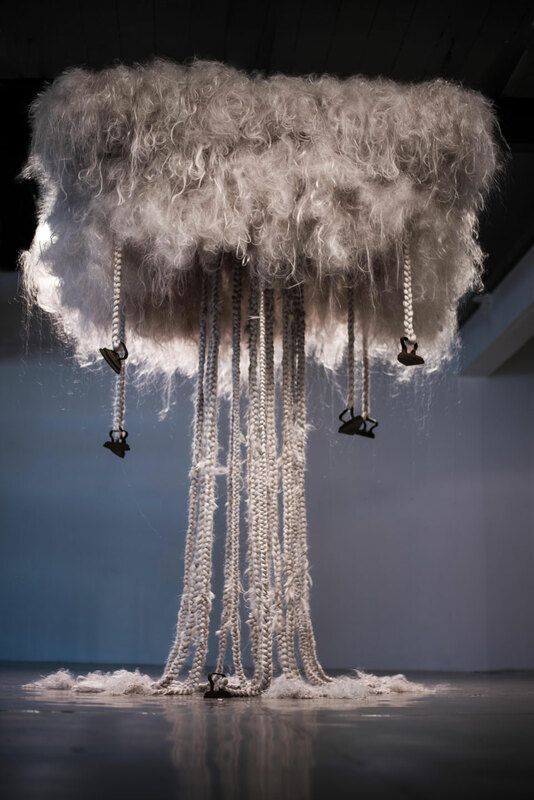 She has participated residencies including the Sylt Foundation Emerging Artist Residency, Sylt and Künstlerhäuser Worpswede, Germany (2017), and the Situate Arts Lab Residency, Hobart, Australia (2016). Master of Fine Art, Michaelis School of Fine Art, Cape Town, South Africa. Bachelor of Art in Fine Art, Michaelis School of Fine Art, Cape Town, South Africa. Solo exhibition, Tyburn Gallery, London, UK. Unframed, Investec Cape Town Art Fair, Cape Town, South Africa. All Things Being Equal, Zeitz MOCAA, Cape Town, South Africa. 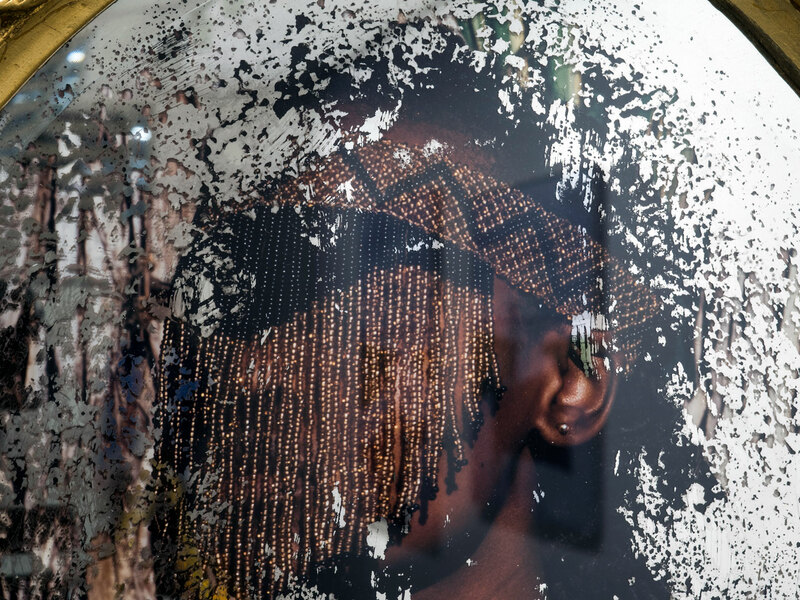 Umoya: A Quiet Revolution, FNB Joburg Art Fair, Johannesburg, South Africa. Kwasuka Sukela, Gallery MoMo, Cape Town, South Africa. Made Visible: Contemporary South African Fashion and Identity, Museum of Fine Arts, Boston MA, USA. Dancing on a Volcano, Lagos Photo Festival, Lagos, Nigeria. L’envol, La Maison Rouge, Paris, France. Not a Single Story, NIROX Foundation, South Africa, and Wanås Konst, Sweden. Cape to Tehran, Gallery MoMo, Cape Town, South Africa. Dress Code, Gallery MoMo, Cape Town, South Africa. What Do They Call Me, Gallery MoMo, Johannesburg, South Africa. The Winter Sculpture Fair, Nirox Foundation Sculpture Park, Johannesburg, South Africa. iQhiya, KZNSA, Durban, South Africa. Women’s Work, Iziko South African National Gallery, Cape Town, South Africa. The Art of Disruptions, Iziko South African National Gallery, Cape Town, South Africa. Dance, if you want to enter my country! / Global Citizen, GoetheOnMain, Johannesburg, South Africa. Nothing Personal, SMAC Gallery, Cape Town, South Africa. iQhiya, The AVA Gallery, Cape Town, South Africa. Translations, Emergent Art Space, Reed College, Portland, Oregon, USA. Anywhere the Wind Blows, Brundyn + exhibition, Johannesburg, South Africa. 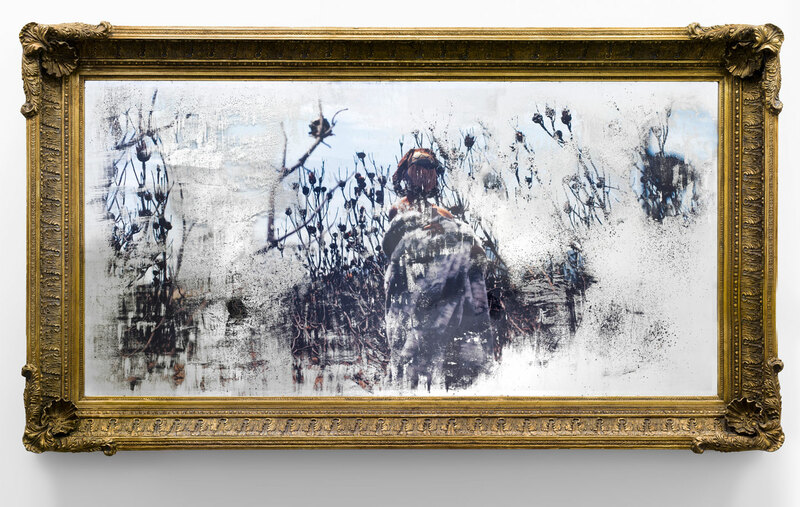 Camouflage, Circa Gallery, Johannesburg, South Africa. CMYK, Circa Gallery, JHB Manifestations of Self, YoungBlood, Cape Town, South Africa. Signal Her Return III, New Art Exchange, Nottingham, UK. Signal Her Return III, ICA Live Art Festival, Cape Town, South Africa. Excerpts from the Past, National Museum, Copenhagen, Denmark. Excerpts from the Past, ICA Live Art Festival, Cape Town, South Africa; Grahamstown Festival, South Africa; Arts House, Melbourne, Australia; and Spiel Art Festival Munich, Germany. Azania - What will be Remembered What will be Forgotten? 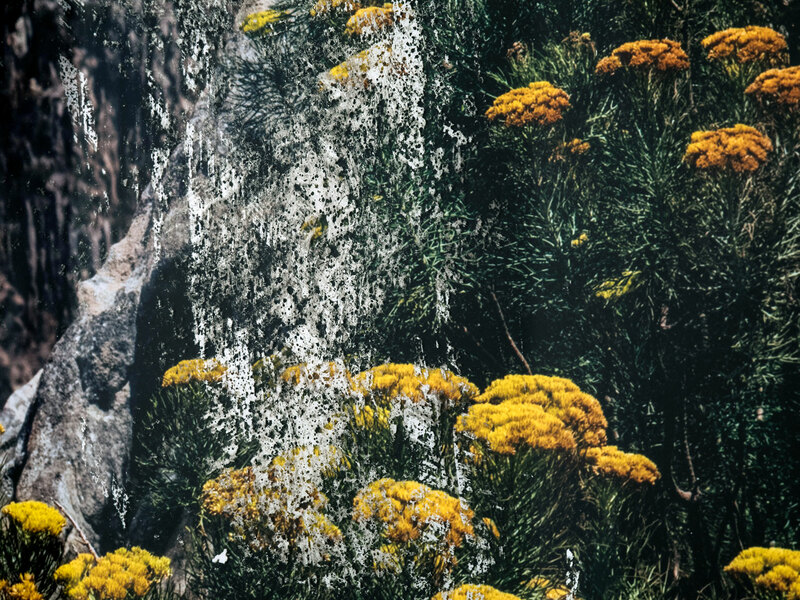 Gipca, Cape Town, South Africa. Excerpts from the Past, Iziko South African National Gallery, Cape Town, South Africa. Chapungu - The Day Rhodes Fell, Cape Town, South Africa. Chapungu - The Return to Great Zimbabwe, Zimbabwe. 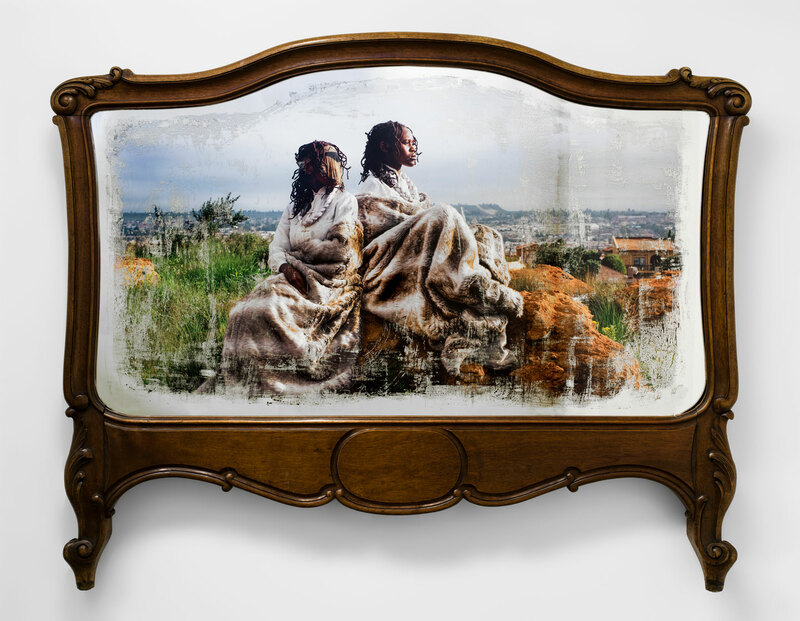 Love in the Time of Afrophobia at VryfeesKunstefees and AVA Open Stoep Residency, Cape Town, South Africa. Ellipsis at Infecting the City, Cape Town, South Africa. 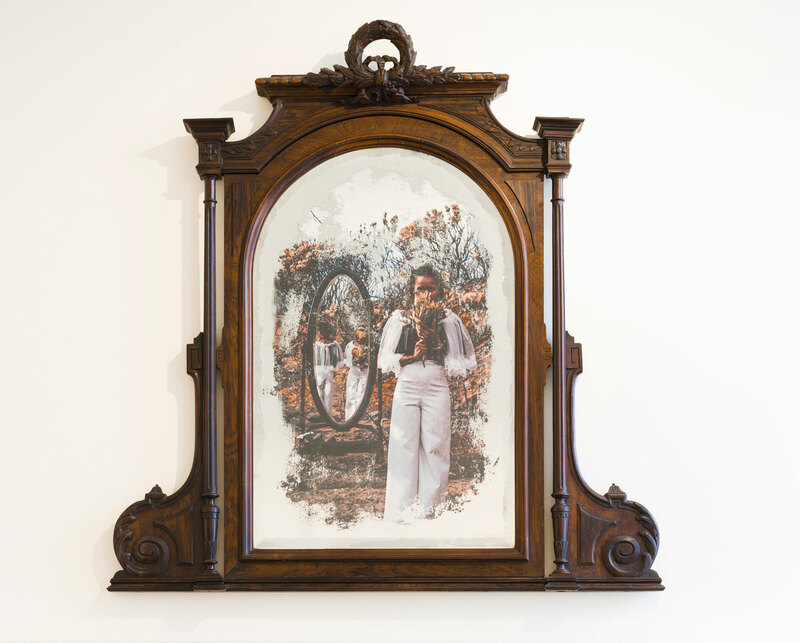 Krotoa at Grid Biennial Cape Town, Art Meets Camera, Cape Town, South Africa. Africa in 2018: Forecasts and Prospects, Royal African Society, London and Edinburgh, UK (speaker). TedGlobal Conference, Arusha, Tanzania (speaker). Displacing Whiteness in the Arts, Arts House, Melbourne, Australia (panelist). Crossing Oceans, Spielart, Munich, Germany (panelist). Inhabiting the Frame Colloquium, VIAD University of Johannesburg, South Africa (speaker). Removing Apartheid Conference, Ghent University, Belgium (speaker). Between 10 & 5 Women’s Conference, Cape Town, South Africa (speaker). Global Leadership Summit, University of the Free State, South Africa (panelist, ‘Symbols and statues: Where do we stand?’). Sylt Foundation, Sylt Island, Germany. Situate Arts Lab, Hobart, Australia. 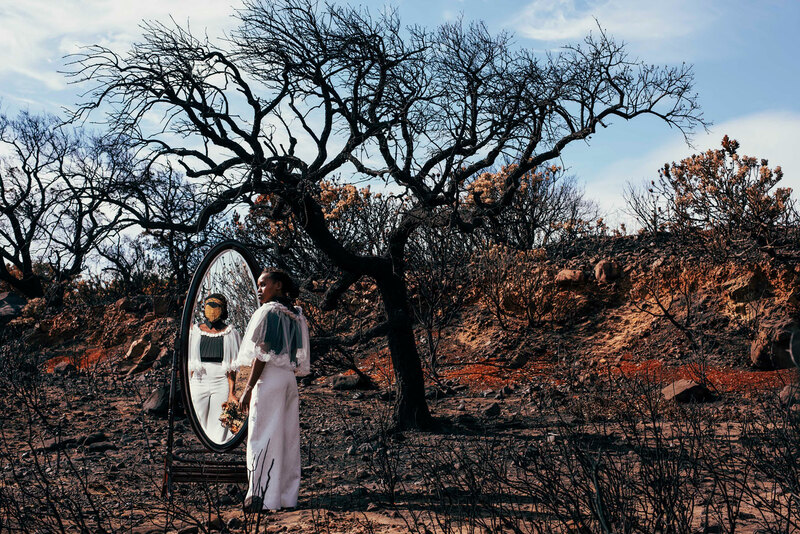 Fernandez Sanabria, Ruth, Sethembile Msezane: a statue of flesh and blood for the invisible, wiriko.com, 11 November 2018. Shezi, Ntombenhle, Wonder Woman, Elle South Africa, July 2018 Issue, pp. 40-41. ----, 100 Women 2018, okayafrica.com, 28 February 2018. 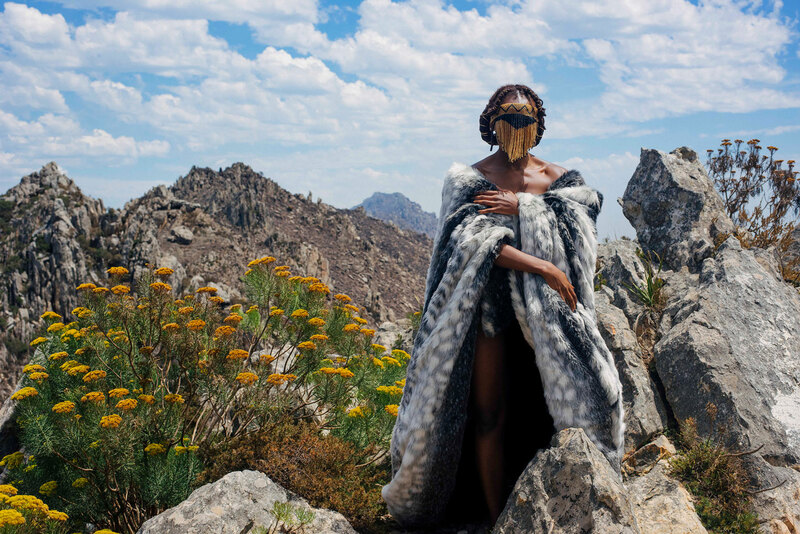 Matroos, Jamie, Sethembile Msezane on why she uses her art as resistance, designindaba.com, 24 January 2018. Franklin, Catherine, Sethembile Msezane talks about her exhibition for Zeitz MOCAA, houseandleisure.co.za, 20 September 2017. Oluwafemi, Bankole, Standing for art and truth: A chat with Sethembile Msezane, ted.com, 18 September 2017. ----, In Profile: Sethembile Msezane, Momo the Magazine, 06 June 2017. Mashabela, Khanya, Birds of a revolutionary feather, mg.co.za, 19 May 2017. Koushyar, Arman, Sethembile Msezane: kwasuka sukela: re-imagined bodies of a (South African) 90s-born woman, iam-africa.com, 18 April 2017. Maroga, Kopano, The Poetics of Remembrance as Resistance: The Work of Sethembile Msezane, artthrob.co.za, 27 February 2017. Dee, Christa, Claiming public space: Artist Sethembile Msezane on history and commemorative practices, bubblegumclub.co.za, 18 January 2017. Fairbanks, Eve, The Global Face of Student Protest, nytimes.com, 11 December 2015. Pinto, Gabriella, Creative Women: Sethembile Msezane on Black Women and Colonialist Ideologies, 10and5.com, 26 August 2015. 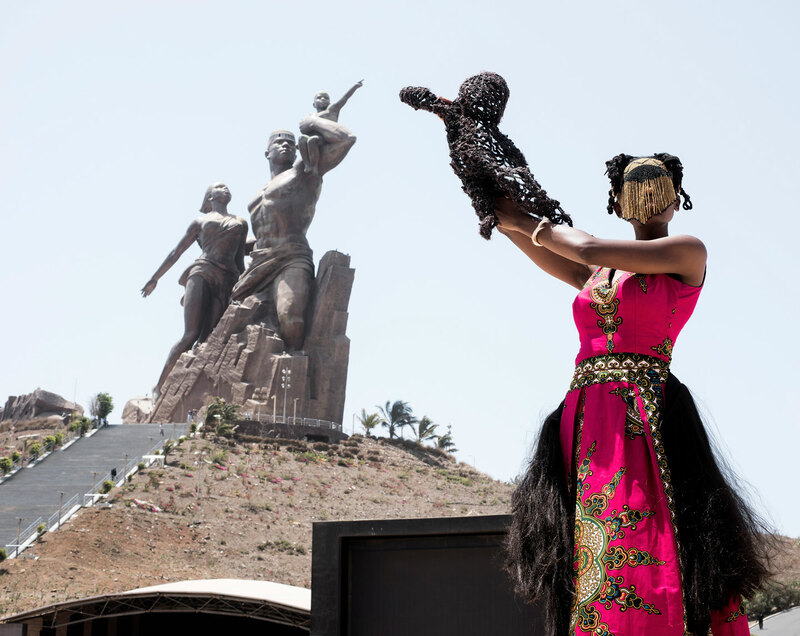 Msezane, Sethembile, Sethembile Msezane performs at the fall of the Cecil Rhodes statue, theguardian.com, 15 May 2015. Shezi, Ntombenhle, Elle Meets Sethembile Msezane, elle.co.za, 8 April 2015. Nominee: ANTI Festival International Prize for Live Art, Kuopio, Finland. TAF & Sylt Emerging Artist Residency Award.